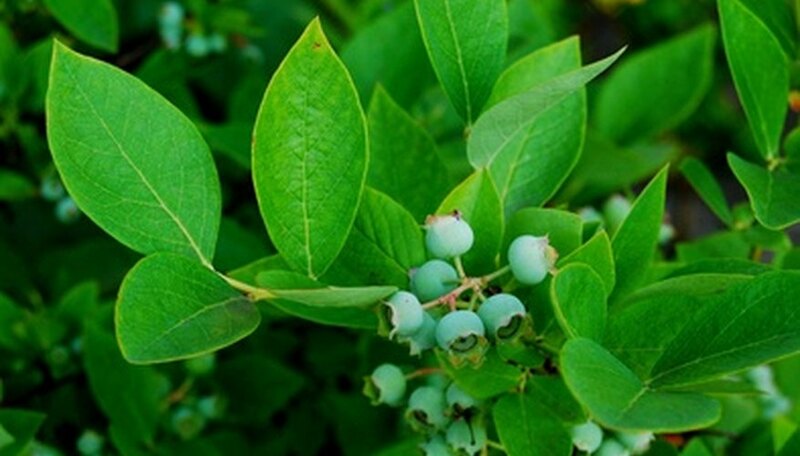 If you would like to expand your blueberry patch, you can propagate additional bushes by taking either softwood or hardwood cuttings from your established bushes. Softwood cuttings have the benefit of producing roots quickly with a high percentage of success but require careful handling and are more perishable than hardwood cuttings. Hardwood cuttings work well for most rabbiteye and highbush varieties of blueberries but are slow to root. Take the cuttings using a sharp clean knife to prevent crushing the stem. Take softwood cuttings 5 to 6 inches long from the tips of the current year’s growth when the leaves are half grown to almost fully grown. Depending on the region, this may be in late April to June. The stems should be somewhat hardened but still flexible when bent. Place softwood cuttings in a container of water or wrap them in a damp paper towel to prevent them from wilting. Take hardwood cuttings 5 to 6 inches long from healthy shoots 12 to 36 inches that grew during the summer. Don’t use the tips of the shoots; the sections you use should be 1/4 inch or a bit less in diameter. The best time to take hardwood cuttings is in late winter or early spring, shortly before the time new growth normally begins. Depending on the region, this may be from late January to April. Fill the rooting tray with a good quality rooting medium purchased at a garden supply store. Apply water to moisten the medium without making standing water in the tray. Prepare the cuttings for rooting. Remove the leaves from the lower half of the softwood blueberry cuttings. Hardwood cuttings are dormant and do not have leaves, but any flower buds should cleanly removed. Leave vegetative buds in place. To help stimulate rooting of a hardwood cutting, slice half-inch layers of bark from each side of its base. Dip the bases of the stem cuttings into rooting hormone. Gently tap the stems to remove excess hormone, then stick the cuttings into the rooting tray. Stick softwood cuttings about 2 inches into the rooting medium. Stick hardwood cuttings about 3 inches into the medium, making sure that one or two buds are above the medium. Firm the rooting medium around each blueberry stem to hold it in place. Space the cuttings two to three inches apart, making sure the leaves do not touch each other. Mist the cuttings and medium with water. Place both softwood and hardwood cuttings in a greenhouse misting environment. An alternate method is to cover the rooting tray with a clear plastic bag and place it in a warm location with indirect sunlight. Mist the tray and cuttings with water 2 to 3 times a day. Monitor the soil moisture to make sure it does not become too wet. Pull on the softwood blueberry stems after 3 weeks of growth and hardwood cuttings after 6 to 8 weeks of growth to verify the formation of roots. Grow the cuttings until the roots reach a minimum length of one inch. Transplant cuttings with one inch or longer roots into 4-inch individual growing containers filled with a well-draining potting soil. Grow the cuttings in a greenhouse or protected environment for the first growing season. Fertilize the cuttings with a half dose of a water-soluble fertilizer after transplanting into individual containers. Hardwood cuttings may be taken in late fall through midwinter and stored in sphagnum moss at 35 to 40 degrees F for up to 3 months before rooting. Maintain high humidity in the storage area to keep the cuttings from drying out.